Garfield park better block from Big Car on Vimeo. Inspired and informed by the tactical urbanist approach of Build a Better Block (inexpensive, temporary redesign and reimagining of an underperforming and auto-centric commercial strip — launched first in 2010 in Dallas), Big Car led two Better Block efforts on the commercial sections of Shelby Street north (2013) and south (2014) of the park located in the neighborhood. 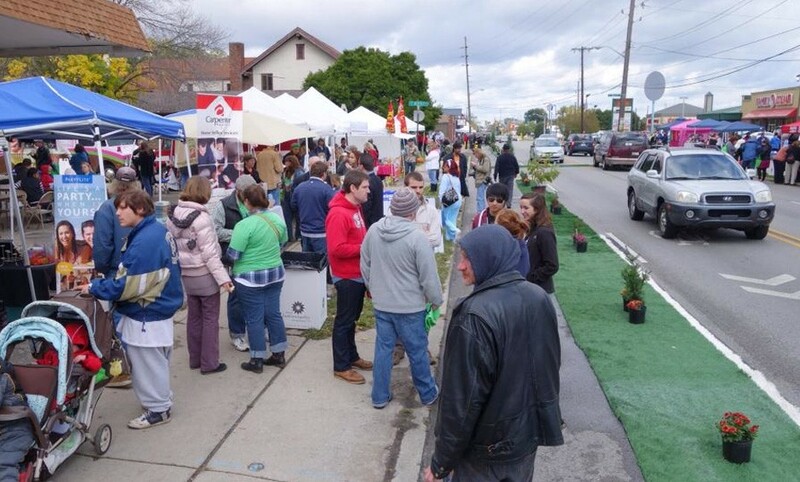 The Big Car team also assisted with a Better Block on Washington Street in 2013, offering ideas and assets used in the first Better Block in Garfield Park to the Inglewood Neighborhood organization. And we helped bring Better Block co-founder Andrew Howard to both neighborhoods for a mini workshop. 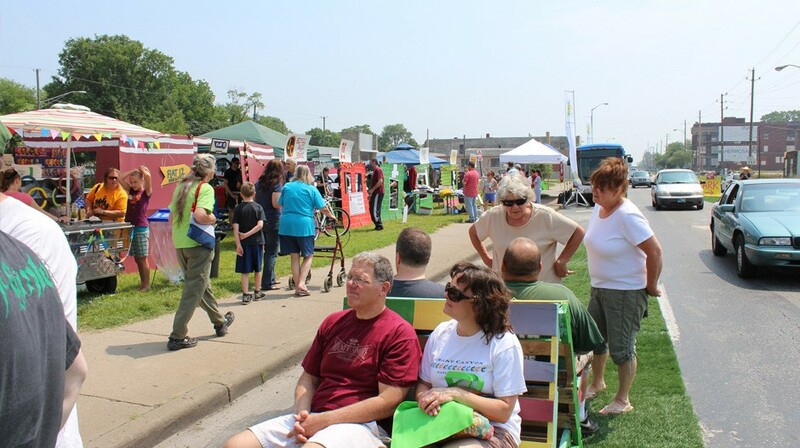 These three one-day placemaking demonstrations attracted more than 1,500 people and involved 300-plus volunteers and community partners. 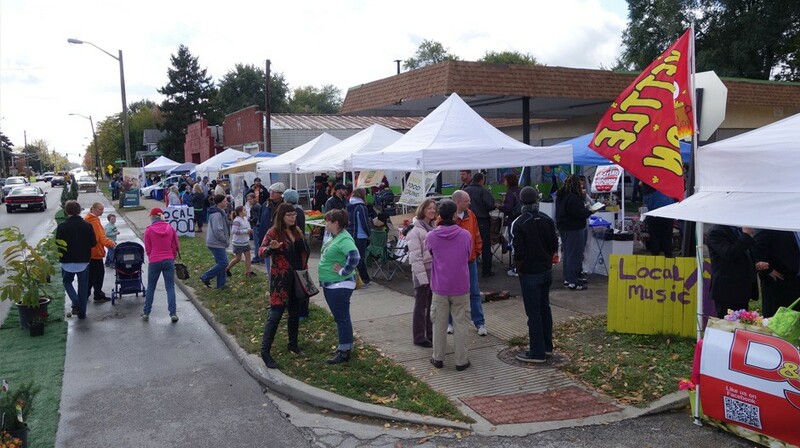 The two Better Block efforts in Garfield Park — led by Garfield Park neighbors and staff members (at that time) Aryn Schounce and Jim Walker — helped strengthen the community and led to Big Car opening our own Listen Hear facility (in October of 2015) in a location used for the 2014 Better Block that was later vacant. This is the location of our community radio station, 99.1 WQRT. 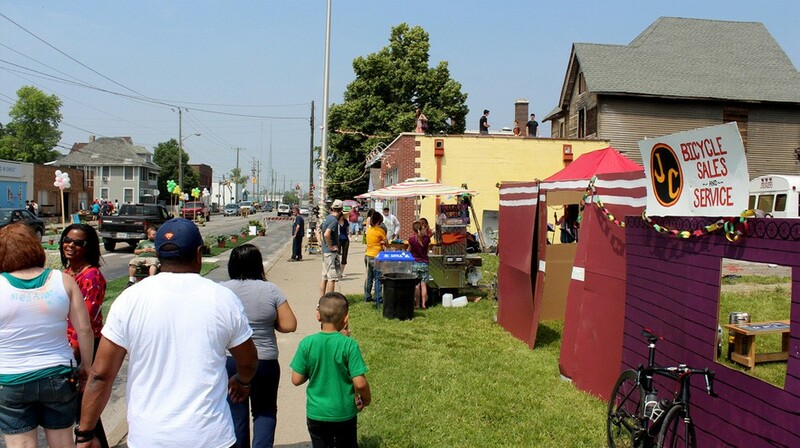 A major outcome of the Better Blocks was bringing together neighbors from three different neighborhood associations —Garfield North, Garfield South and the then-defunct Garfield East — to volunteer to support the reimagining and demonstration of possibilities along Shelby Street. These neighbors soon decided to form the single nonprofit Garfield Park Neighbors Association. The association is now very strong and includes board leaders from all three areas of the previously divided neighborhood. Also of interest, the temporary narrowing of Shelby Street to two lanes and the creation of temporary bump outs at intersections are now permanent features of the redesign of the street that includes the Red Line bus rapid transit line. To learn more about Better Block, watch this TEDx video by co-founder Jason Roberts.